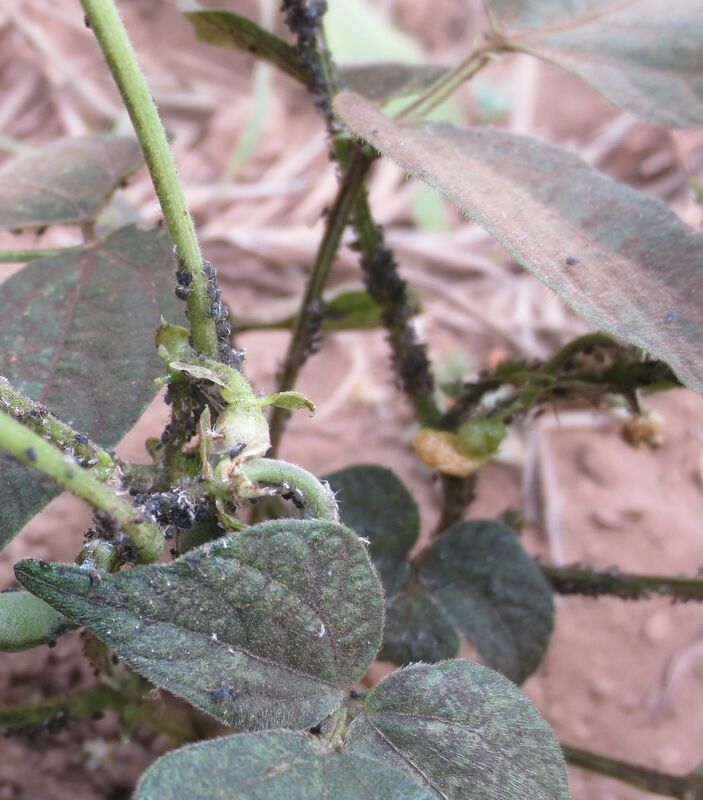 Pest damage of legumes is one of the major challenges to food and nutritional security in Africa and disproportionately affects poor farmers growing low-input orphan crop grain legumes such as beans, pigeon pea, cowpea and lablab. Pest control is typically dependent on high agrochemical inputs which may have negative impacts on users and consumers and severely impact non-target invertebrates that can otherwise be beneficial to food production through pollination or natural pest regulation. Natural Pest Regulation has been estimated to be worth US$906 billion. Non-crop habitats in field margins provide the environment required to support natural enemies of pests including hoverflies. Management or manipulation of this non-crop habitat can help to support natural pest regulation and can even be augmented and sustained in better managed natural or manipulated agro-ecosystems. The occurrence, density and impacts of most beneficial insects in smallholder ecosystems, however, are poorly understood, particularly in Africa. This new project "NaPROCLA" (Natural Pest Regulation on Orphan Crop Legumes in Africa) will take forward recent findings by our partnership and identify the key taxa that support and deliver natural pest regulation. We will develop approaches that support and augment natural pest regulation through improved agroecosystems management with reduced pesticide use. The research will provide evidence for benefits of natural pest regulation and establish how this can be optimised through better landscape management or manipulation and how natural pest regulation can function alongside other management practises including natural pest resistance, botanical insecticides and intercropping. This project will survey plant and invertebrate biodiversity in bean ecosystems in Tanzania and Malawi and evaluate their ecologies and identify plant species that (i) attract, nourish and provide habitat for natural enemies of pests; (ii) promote the activity of pollinator insects in crops and (iii) provide environmentally-benign ‘botanical insecticides’ as additional control for pests. This will require a systematic analysis of roles and interactions of pest and biological control species/habitats, supporting development of management systems that increase productivity through strategic integration of biodiversity. Using this knowledge we will develop interventions that maintain and optimise these ecosystem services. The overall goal of the project is to improve food security in Malawi and Tanzania through the development and optimization of plant-based pest management technologies that are simple, effective, reliable, safe, economic and appropriate for the control of field and storage insect pests of beans, pigeon pea, cowpeas and other legumes and commercially and nutritionally important crops grown by small holder farmers. The technologies will be based on widely distributed and easily cultivated plant species such as Tephrosia vogelii, Dysphania ambrosioides, Tithonia diversifolia, Lippia javanica, Bidens pilosa, Lantana camara, Vernonia amygdalina and Tagetes minuta as well as indigenous woody plants such as Zanha africana and Securidaca longepedunculata. In carrying out this broader activity, we plan to build technical capacity by supporting a PhD student (registered at NMAIST) and Masters students (at least two registered at NMAIST and at least two registered at LUANAR) who will have opportunities to carry out a range of lab, field and farm based research cutting across disciplines of natural product chemistry, entomology, chemical ecology, insect behaviour as well as experimental design, data collection, statistical analysis, working with farmers and using various analytical tools. A second goal is to help understand the impact of using pesticidal plants on wider ecosystem services and how their use affects non-target organisms (pollinators, parasitoids, predators) to establish their suitability for integration into agro-ecological intensification programmes. The main objective is to create a Farmer Research Network (FRN) operating in the Kilimanjaro Region of Tanzania and the Central Region of Malawi by bringing together existing farmer groups and helping to create new groups of farmers who are willing to work together to help further optimise the use and development of pesticidal plants. The FRN will be helped to increase their own use of pesticidal plants for pest control so that farmers can observe differences, themselves, understand the limitations of plant extracts and identify aspects of use that can be further optimised through their own activities. Other objectives are to carry out research to support post-graduate research degrees that also supports the development of the FRN. This work will look at other aspects of PP use on soil fertility, the control of fungal and bacterial pathogens, as potential phyto-stimulants, impact on pollinators/predators both through PP use on crops and in terms of field margin biodiversity support to beneficials, all of which will help generate novel information on how pesticidal plants can be integrated in to agro-ecological intensification, reduce crop production costs and increase crop yields for small holder farmers. Collating existing evidence and facilitating new interdisciplinary research to investigate the social, economic and ecological viability of EI within current and future farming systems relevant to each region. Building active partnerships and collaborative ways of working between farmers, policymakers, industry, retailers and EI researchers, to raise awareness and build capacity. Developing content for evidence-based awareness-raising and training materials relating to the importance and management of ecosystem services in agriculture. Ensuring relevance to local context and whole systems, through understanding local trends to focus on different levels of policy change to influence: policy Instruments (e.g., targeted investment), overall policy (i.e., challenge conventions aligned to conventional agricultural inputs), and stimulate policy paradigm shifts. Co-developing mechanisms for appropriate, accessible, and reliable agricultural advice in each region, with particular focus on issues of justice, equity and ethics. Donor: BBSRC IPA with Biobest Ltd and Berry Gardens Growers Ltd.
Partners: NRI, NIAB EMR, Berry Gardens Growers Ltd., Biobest Ltd. This project is investigaing whether it is possible to prime managed bumblebees on strawberry farms to prefer foraging on the flowers of the crop, in order to pollinate them more effectively. The project is carrying out experiments to test the ability of caffeine to improve crop pollination in field and laboratory settings. Bumblebees are provided experimentally with caffeinated nectar alongside a synthetic strawberry flower's scent. Since caffeine improves bees' memory for the scents of flowers, we are evaluating whether these bees show increased foraging activity and attraction to strawberry flowers when they receive this priming treatment. We predict that if the preference of commercial bumblebees for strawberries is improved, the bees will visit more flowers, be more efficient at pollinating the crop and thus will enable the production of higher-quality, more valuable fruit.